The irony of spring is that while it's the time of year that arguably matters most (photo finish with the curriculum, not to mention testing season), it's also the time of year that is the most difficult to engage our students.The seniors have their caps and gowns and the underclassmen have their summer daydreams. But we still have to teach them. And more often than not, we have a lot to teach them. Anyone who has spent any amount of time in the classroom knows that's no easy task once the flowers are blooming. 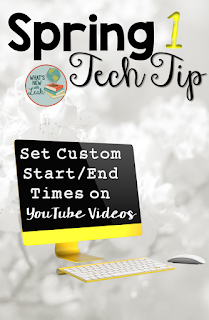 So I'm counting down to summer break with Spring Tech Tips that are guaranteed(ish) to engage your most reluctant spring-time learners (uh-hem...everyone). 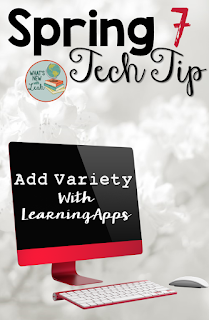 Last week I wrote about learningapps.com, a super awesome, free platform that allows you to create fun activities for your classroom. If you missed it, don't worry, you can check it out HERE. But sometimes it just can't be avoided. And we all know that finishing a content-heavy course can be like stuffing your entire wardrobe into a carry-on. You want to do engaging activities for everything, but it just won't all fit in. When this happens, you have to crumple topics up into the tiniest possible bits and just hand them to your students. The trouble is, they don't want to take them. Poll Everywhere is nothing new. It's an app/website that enables you to create polls or even interactive word clouds. 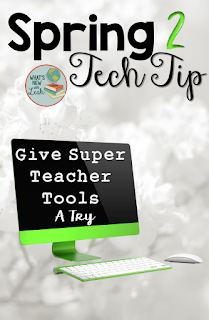 Your students text a code or visit a special web address, and they can respond to the poll and see the results in real time. 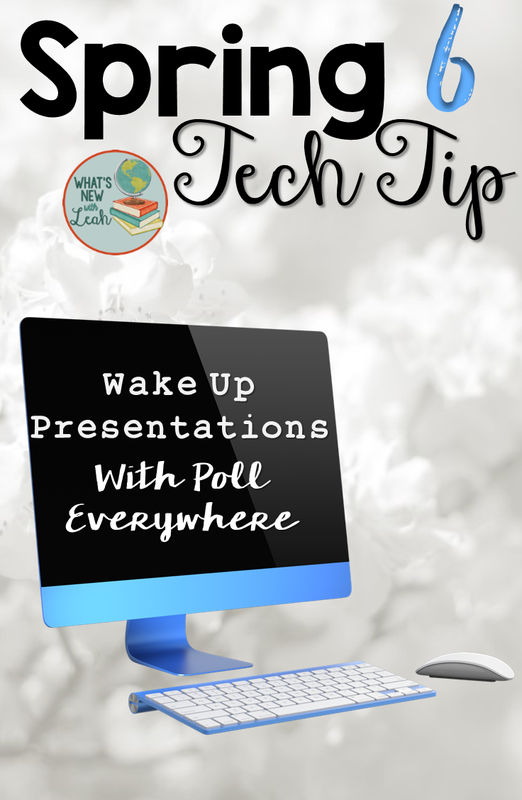 That alone is pretty cool, but you can add the app to PowerPoint Presentations and Google Slides in order to make your presentations interactive. 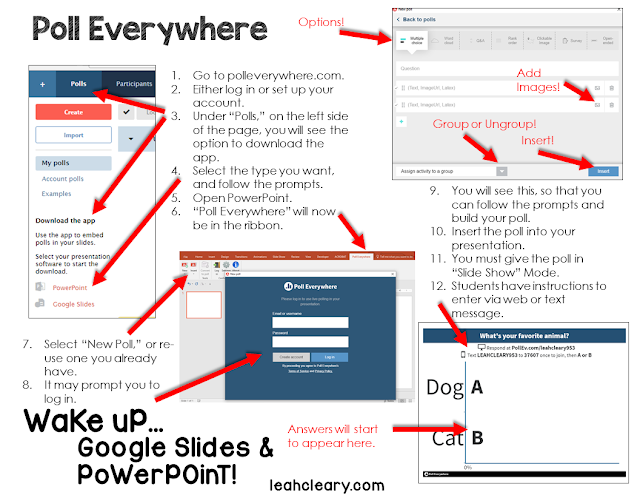 Below is a How-To for PowerPoint and Google Slides (it works the same in both). If you opt for the free version, then you can only poll 40 people at a time, but I find that is fine for most classrooms. The word cloud option (and the tax write-off) is the main reason I'd shell out the $50 a year. 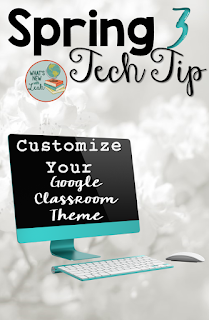 With the word cloud, students type in words from your prompt. I've always started topics with these on the whiteboard. So if we're discussing the Industrial Revolution, I might write, "Consumer," and students would create a word cloud with ideas that came to mind when they thought of that word (shopping, buying, taking, money...). 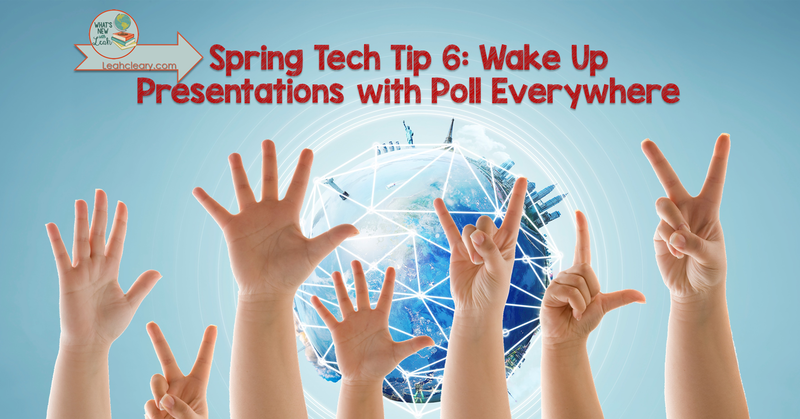 With Poll Everywhere, students can type the words on their devices, and they appear in your presentation as a nice word cloud graphic. Now, the word cloud does come with the free option, but the paid version allows the presenter to, uh-hem, make an undesirable word disappear with a click--quite often a necessity with secondary students. Whether you use the free or the paid version, Poll Everywhere is super useful for encouraging your students to be more than passive viewers at your lecture--it enables them to become participants.